This product was used to connect all kinds of aluminium conductor and insulation wire, ground wire, optical fiber, optical cable and cable when pay-off the line in power and communication line construction,it can pass all kinds of pay-off pulley as well as advantages of light weight, large tensile load, not damage line, convenient to use and so on. 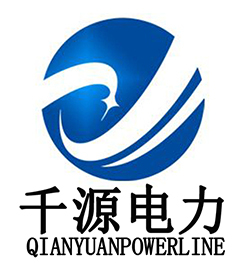 It`s prefect tools in the field of electric power construction,communication lines, offshore oil field, wind power manufacturing, mobile company, electric power, railway, shipbuilding, cable, construction, steel, petrochemical,mechanical industry and so on. Trapping cable first, and then choose an employ or lifting tools holding the sock, now we achieved the goal of stringing,at same time,we also can use cable to hanging the sock,Cable sock is mesh structure, more drawing and more tightly,,it is easily wear in or take out the cable when push it to the object side. Looking for ideal Conductor Sock Pulling Wire Grips 1 Manufacturer & supplier ? We have a wide selection at great prices to help you get creative. All the Steel Pulling Grip Wire Mesh Sock are quality guaranteed. We are China Origin Factory of Stainless Steel Wire Rope Cable Grip. If you have any question, please feel free to contact us.